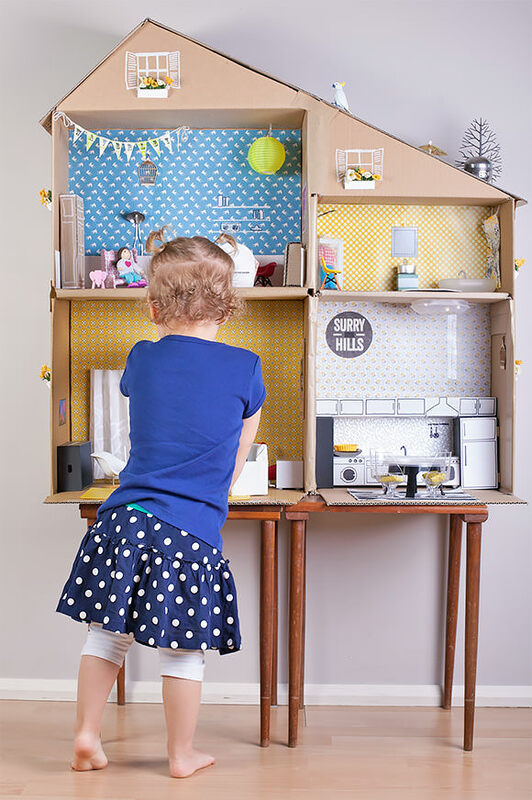 Turn a simple bookshelf into an adorable DIY Dollhouse with this tutorial from LAnd of Nod. And when they outgrow their dollhouse (does anyone really ever outgrow a dollhouse? I know I never did.) you can use it for it’s original purpose of storing books! Get the tutorial from our friends at Land of Nod. 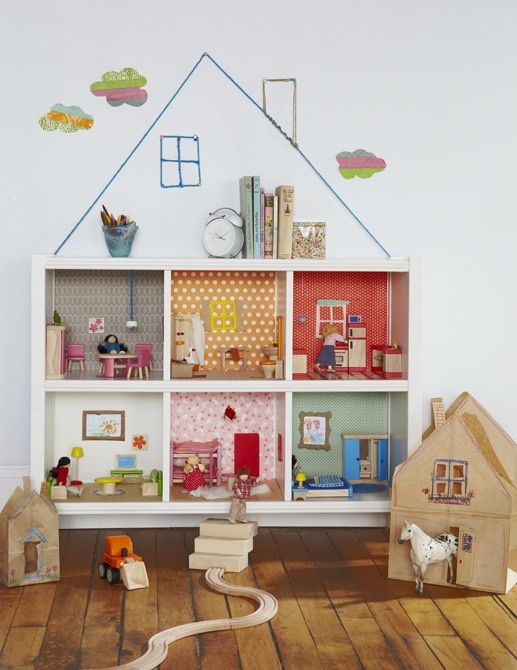 This cardboard dollhouse from Tasmin Brown is adorable!! Gah! Get inspired by her flickr album. 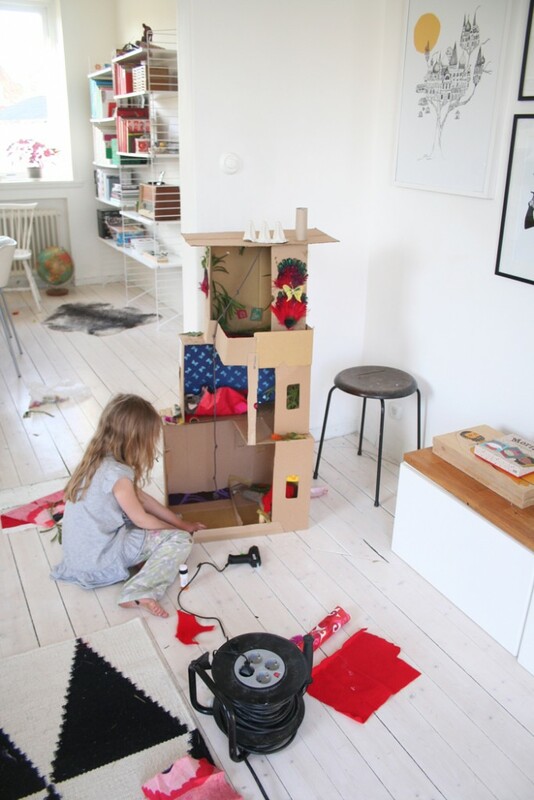 This cardboard dollhouse from Aprill Aprill is magical in it’s design and I love that it’s kid-made. Ana White shares the plans to build your own beautiful wooden dollhouse sure to become a family heirloom. 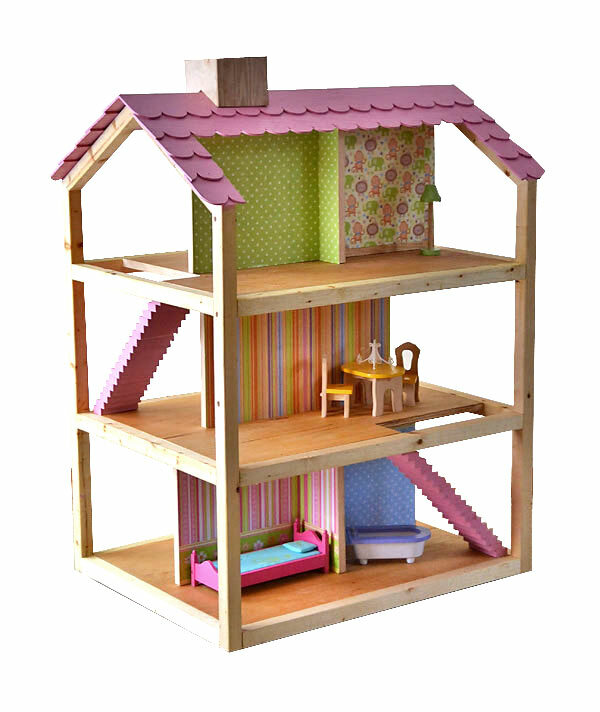 Get the plans here: Ana White Dream Dollhouse. 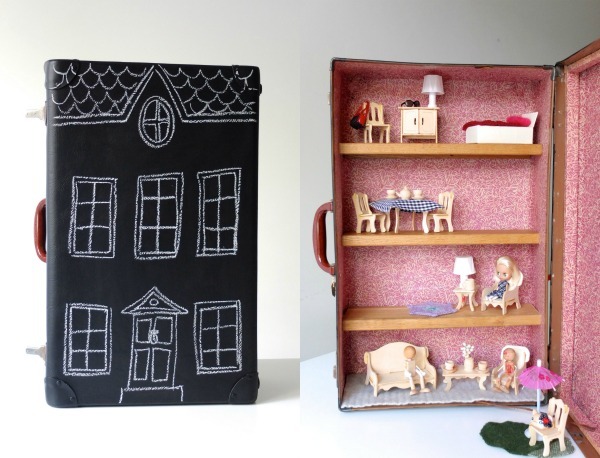 This DIY Suitcase Dollhouse is another take on the traveling dollhouse, but this one is large enough for all their little imaginary friends to occupy. Learn how to make it on My Poppet. 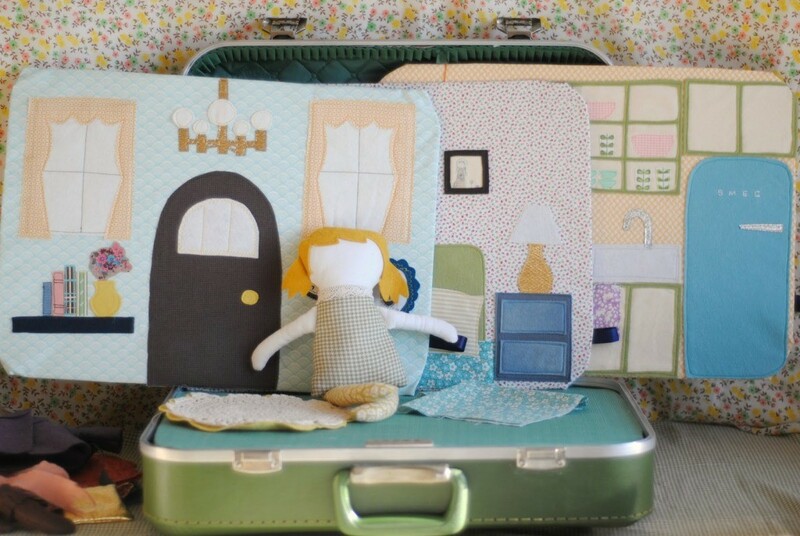 Our DIY Doll Suitcase is the perfect on-the-go toy for pretend play in the car or on vacation. Sherri and John from Young House Love made this beautiful dollhouse (and give a step-by-step DIY) for their daughter Clara. It’s clean, modern, and lovely like everything they do. When it’s time to decorate, head over to Craftiness is Not Optional for her painstakingly perfect attention to every minute detail. Her dollhouse is amazing.